Click HERE for complete details including the ORDER FORM! The Northern Michigan RailRoad Club is an all gauge railroad club. We have been meeting in the Grand Traverse, Michigan area for a number of years now bringing model train displays to the public to enjoy at several venues. If you are a model train enthusiast, you are cordially invited to join us in the pursuit of model railroading fun and fellowship. The NMRRC meets the first Saturday of each month in Mapleton at the Peninsula Market on the Old Mission Peninsula The regular business meeting is at 10:00 am followed by a work and running session at noon until 2 pm. Other work sessions will be on selected days to be announced. Members of the NMRRC have a vast wealth of knowledge from the collecting of antique toy trains to the very latest digital technologies used for running trains that is available today. WE operate and build modular layouts in G, O, S, HO, and N gauge. These layouts are worked on and run at our clubhouse in Mapleton. 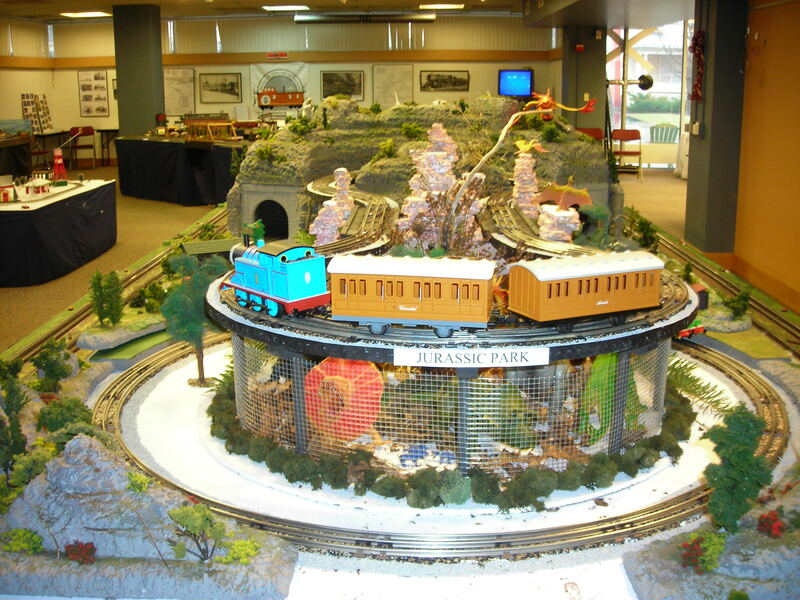 Each year, the NMRRC has a featured exhibit at the Festival of Trains which Is currently held at the History Center in Traverse City during the Christmas holidays It is well advertised in the local newspapers as well as on television. Train members often attend area train shows sharing both rides and fellowship Several members of the NMRRC are also members of national tram organizations like the TCA (Tram Collectors Association). They often attend semi-annual meets at York. PA as well as other train events throughout the state of Michigan. There will be club elections in October.